UM Lohia Two Wheelers will launch two new special editions in September - the UM Renegade Commando Black Cat and the UM Renegade Sports S Vegas, the company has confirmed to IAB. 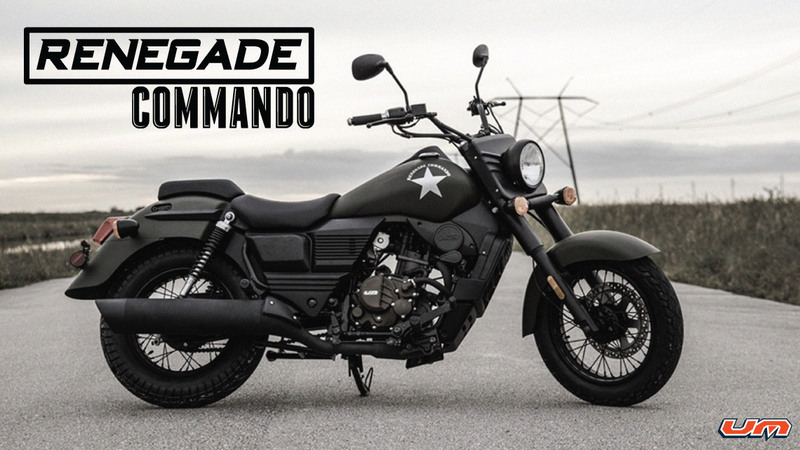 The UM Renegade Commando Black Cat features a matte black paint scheme. Overall, the bike remains unchanged. In the interim period, we will be launching the Commando Matt Black variant along with the Vegas for 2018. These motorcycles will be available at the dealerships starting in September. The UM Renegade Commando Black Cat colour is available alongside the Matt Moss Green, Black Shine and Burgundy Shine paint schemes. Apart from the new colour option, the motorcycle remains unchanged. Dimensionally, the bike measures at 2257 mm in length, 780 mm in width and 1140 mm in height, while it has a wheelbase of 1,545 mm and a ground clearance of 200 mm. Suspension hardware comprises 41 mm telescopic front forks and twin coil-spring shock absorbers at the rear. The motorcycle features a semi-digital instrument cluster and USB Smartphone charging port. Anchorage is provided by a 280 mm front rotor with 2-piston calliper and a 130 mm rear drum brake. The bike comes with 16- and 15-inch alloy wheels at the front and back, respectively, that pair with 110/90 R16 front and 140/90 R15 rear tubeless tyres. The UM Renegade Commando has a kerb weight of 179 kg and a fuel tank capacity of 18 litres. 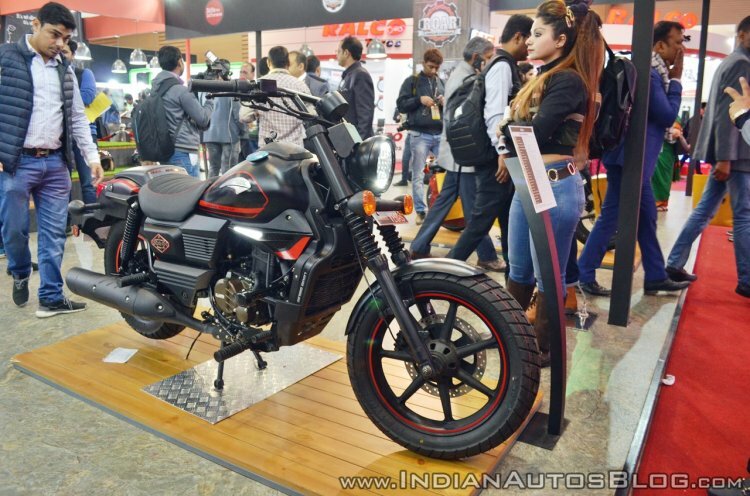 The motorcycle will carry a similar price tag of INR 1,82,503 (ex-showroom Delhi), like that of the other variants. The UM Renegade Sports S Vegas Edition debuted in India at the Auto Expo 2018 alongside the Renegade Duty range. The Renegade Sports S Vegas Edition comes with a few cosmetic updates like a LED headlamp, drag-style handlebars, and knobby tyres. The motorcycle features a matte black paint scheme with Vegas-themed graphics, while the bike gets ribbed seat comes with a pillion cowl. Unlike the Renegade Commando Black Cat, the UM Renegade Sports S Vegas will be available at a slight premium. We expect it to be priced around INR 1.75 lakh (ex-showroom). The Renegade Sports S Vegas shares its mechanicals with the Renegade Commando but gets disc brakes at both the ends. UM Renegade Sports S Vegas Edition debuted at the 2018 Auto Expo. Both motorcycles source power from a 279.5 cc, 4-valve, single-cylinder motor with fuel injection. The liquid-cooled engine is capable of pumping out a maximum power of 25.15 PS at 8,500 rpm while generating a peak torque of 23 Nm at 7,000 rpm. This engine transfers drive via a 6-speed gearbox.